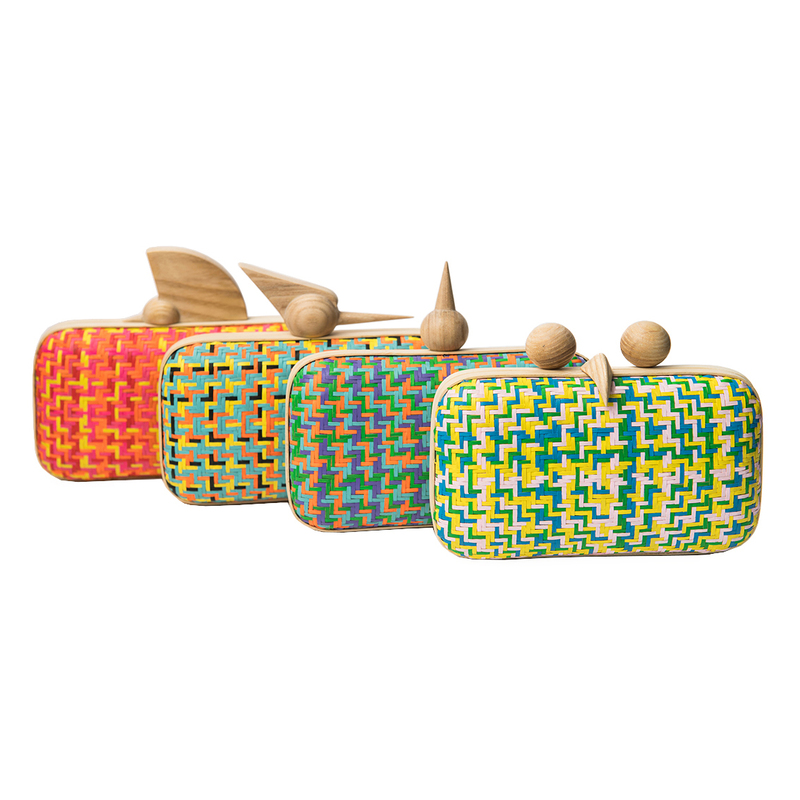 Jungle Birds Clutch is a mix of modern design and traditional handicraft skills, bamboo weaving and wood carving. The hard shell woven bamboo case is lightweight and durable. A magnetic closure ensures your valuables within easy reach. Jungle Birds Clutch is an useful, eco-friendly bag for those who are fashion savvy and have a preference to tradition.